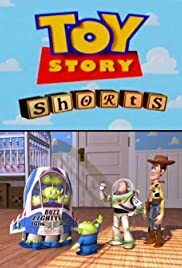 A series of short vignettes featuring the characters from the first "Toy Story" film. When Buzz can't jump into the television set he assumes there is a force field that is preventing him from doing so. Rex demonstrates for Hamm his new idea of channel surfing. The toys discover smaller versions of themselves in a strange bucket labeled 'Happy Snacky'.